british-sign.co.uk at WI. British Sign Language - Online resources, games, & course. 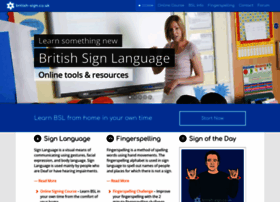 British Sign Language online course, free resources, games, information, and greeting cards. Learn British Sign Language today.